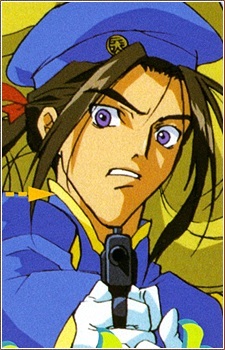 Meifon's left-hand man and the one in charge of various departments such as the payroll for the company. On ship, he usually takes a passive role as Meifon's advisor. He also prepares tea occasionally during a relatively minor battle. Kosei originally served Meifon's grandfather Chenho Li, which explains his willingness to always assist Meifon. Generally a well-mannered young man who is popular with women because of his attractive appearance, Kosei strives to do everything in a just and timely method. When it comes to battle, Kosei does not show much participation, but has some skill with a number of firearms.